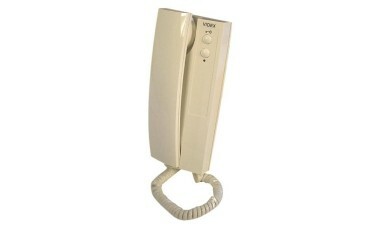 The 3111A handset has an electronic call tone and is suitable to add to any 3K or DK handsets. 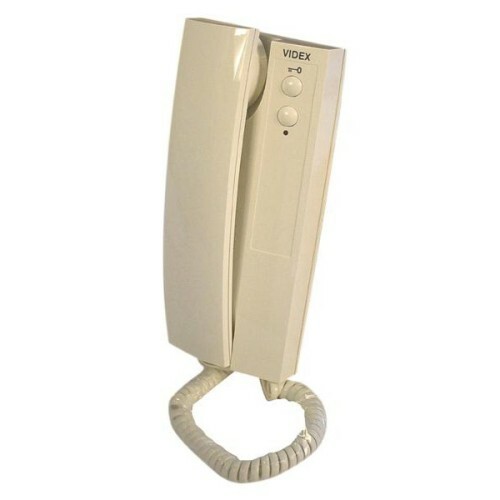 This model comes three position caller ring tone volume and is able to be wall mounted. 2 Additional handsets can be setup and installed in the same apartment. The plug in cord is replaceable for this model. The 3038A desk kit can be used in conjunction with this model if you would like it to be desk mounted, as standard this model is wall mounted. A lock release button is included in this model allowing access to be gained when press. In addition to this the LED light on the front of the handset indicates whether the door is open or closed. A dry contact button is also included. This model is made from ABS shockproof plastic, making it lightweight and durable.